Now after three decades of tremendous expansion, this new generation of leaders will have to carefully maneuver the country into the next decade, toeing the line between maintaining the stability created during the previous Hu-Wen administration and continuing the political and economic reform necessary to adjust to the country's slowing growth. 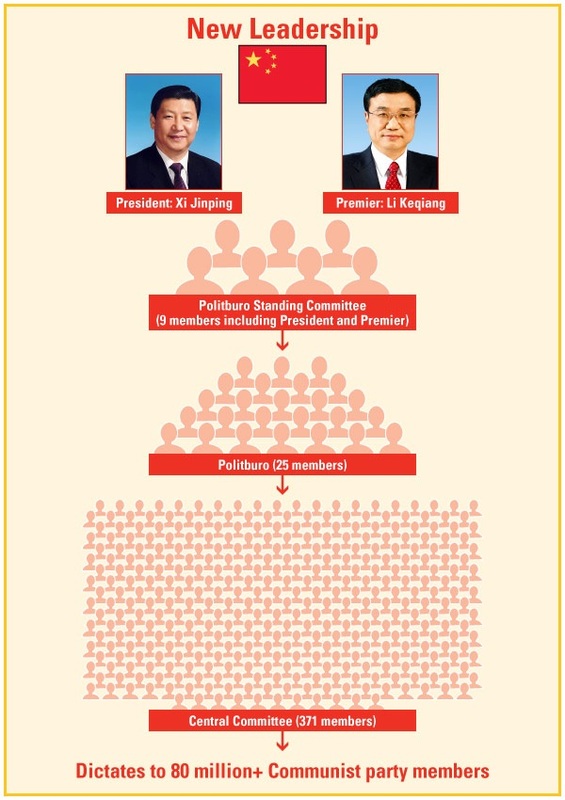 China's pyramid of power is headed by the Politburo Standing Committee (PSC), which will likely have seven to nine new members led by Vice President Xi Jinping and Vice Premier Li Keqiang, selected by a vote of the Central Committee. Unlike prior committee members who were mostly engineers, the new PSC members have varying liberal arts backgrounds, including history, law and economics, which may help to "address social concerns after decades of focusing mostly on growth," according to CLSA. These leaders tend to be more globally aware than their predecessors. They are better traveled, and many have family members, relatives or friends who have gone to school overseas and have foreign residency. "The rapid proliferation of mobile phones, broadband, internet has made unbiased information much easier to access," says CLSA. Incoming President Xi Jinping is a princeling who was born into privilege as the son of Xi Zhongxun, who was among the first generation of Chinese leadership and "one of the most liberal leaders under Deng." His father's claim to fame was in creating a special economic zone in Shenzhen, which transformed the area from a small village to one of the fastest-growing cities in the world and one of the busiest container ports in China. Premier Li Keqiang comes from a more common background, as his father, Li Fengsan, was an official of the local government. After the Cultural Revolution, Li was one of the "Class of '77" when only 273,000 people won admission to universities out of a total of 5.7 million candidates. (By comparison, 58 percent of nine million people in 2007 won admission to universities, according to a 2008 article in The New York Times.) He spent 16 years at the Central Communist Youth League, and then 10 more years in the Henan and Liaoning Provinces before becoming a member of the standing committee. Underneath the PSC is the Politburo with 25 members, then the Central Committee with 371 members, who then dictate to more than 80 million Communist party members. So what direction will the next generation of leaders take? This remains a "great enigma," says Overholt. Xi has been "extremely cautious" about stating his opinions, however, "he has the confidence that comes from being a princeling and from having some military background." In addition, the other members of the PSC have agendas that are "ambitious and outspoken." The tensions and inconsistencies that exist within the committee members could be "creatively dynamic or immobilizing," says Overholt. CLSA believes that the new leadership will likely push for reform since they will be "forced to adapt to China's slowing growth." 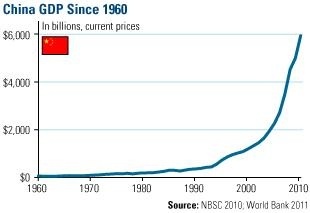 The research firm says that historically, large reforms successfully occurred after a crisis, including Tiananmen Square and the Asian Financial Crisis. A nearly 500-page document by the World Bank and China's Development Research Center of the State Council may give "promising insight into China's future policy," says CLSA. The comprehensive report called China 2030 identifies a long-term strategy for Chinese policymakers. The report says that "after more than 30 years of rapid growth, China has reached another turning point in its development path when a second strategic, and no less fundamental, shift is called for." The report concludes by saying that "a successful outcome will require strong leadership and commitment, steady implementation with a determined will, coordination across ministries and agencies, and sensitive yet effective management of a consultation process" that encourages the support of the public. The potential for China to be a "modern, harmonious, and creative high-income society" is there, however, "achieving this objective will not be easy," says the report. In November, the U.S. will be focused on its own political situation as Americans head to the polls. While staying active and involved in national politics is important, I believe it's just as vital to pay close attention to how the leadership change will unfold in the second-largest economy in the world.